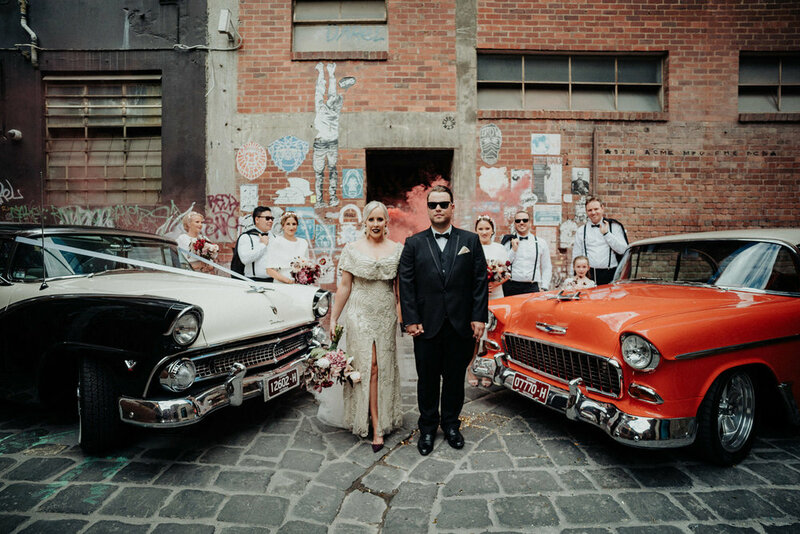 Michael and Emmy organised a romantically lavish wedding ceremony in Croatia and it was my absolute pleasure to help them finalise their legal nuptials back home in Melbourne. 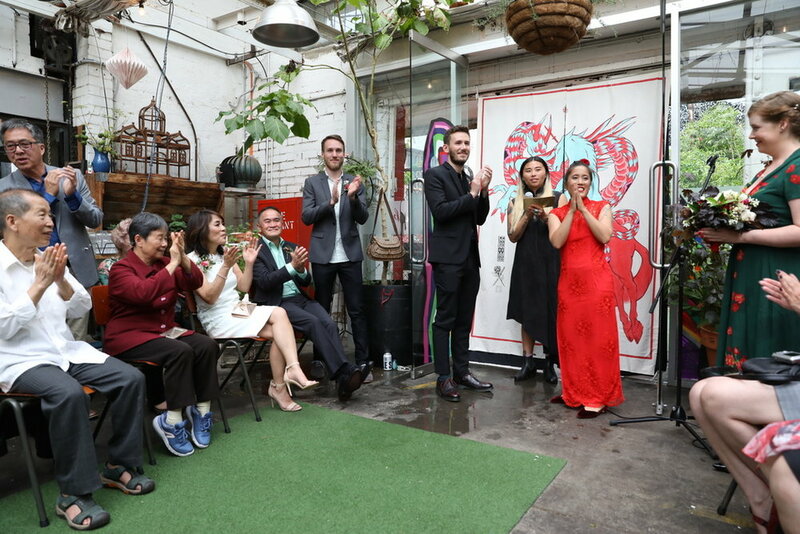 For this occasion we planned a mini surprise ceremony for their witnesses who were responsible for introducing the newlyweds all these years ago. "Thank you so much Jam, we had a wonderful, calm and fun wedding. You created a ceremony that was relaxed, yet focused where we were 100% engaged in the moment and truly felt the real love and commitment between us. I never thought that having a wedding in our living room with our most cherished friends would feel so professional and special. Thank you again, I would love to recommend you to all my nearest and dearest. I had the pleasure of marrying Jenna and James, a couple of real life high school sweethearts - now that’s something special! 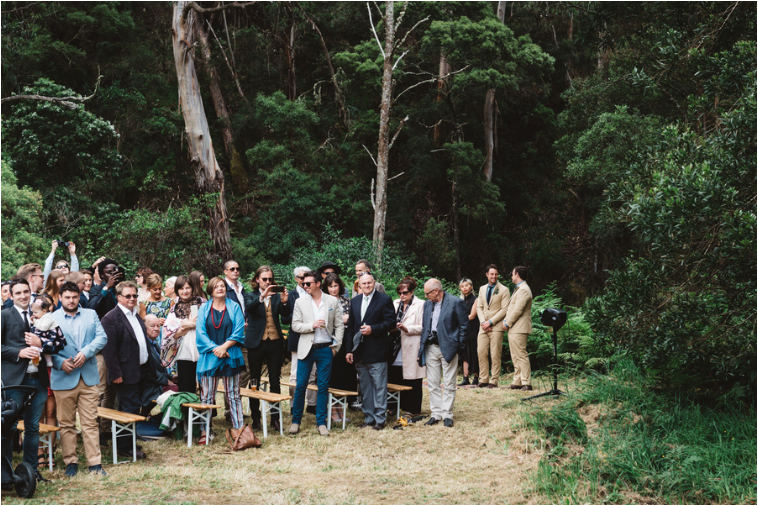 True to their down to earth nature, the couple invited their family and friends to gather for their wedding ceremony in a lush clearing at the back of Kennett River, with the majestic green Australian bush as their backdrop. The stunning bride walked in barefooted along the grassy path guided by her proud father. 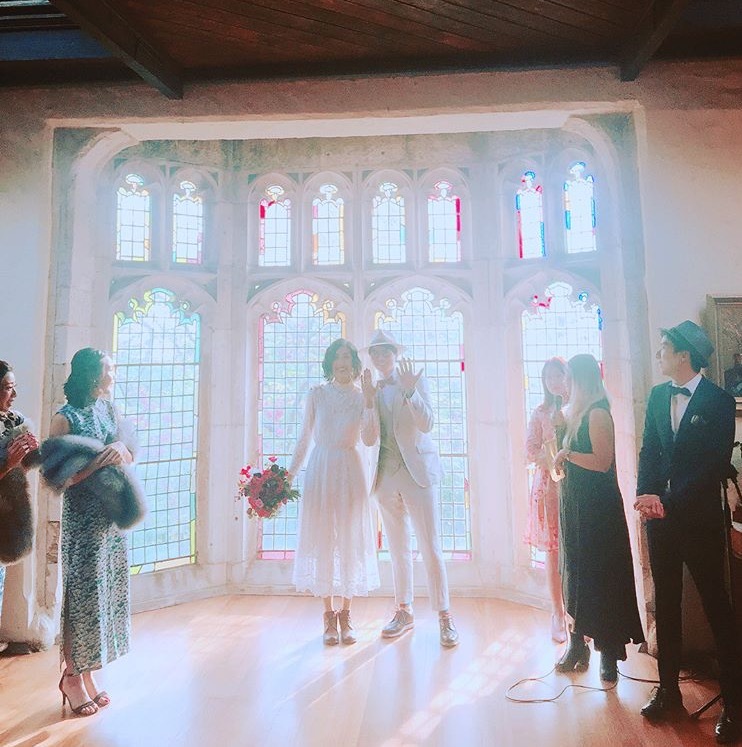 The ceremony was conducted with the couple standing on a Moroccan rug that they purchased on their big overseas adventure together that saw James propose to Jenna under the Eiffel Tower in Paris. 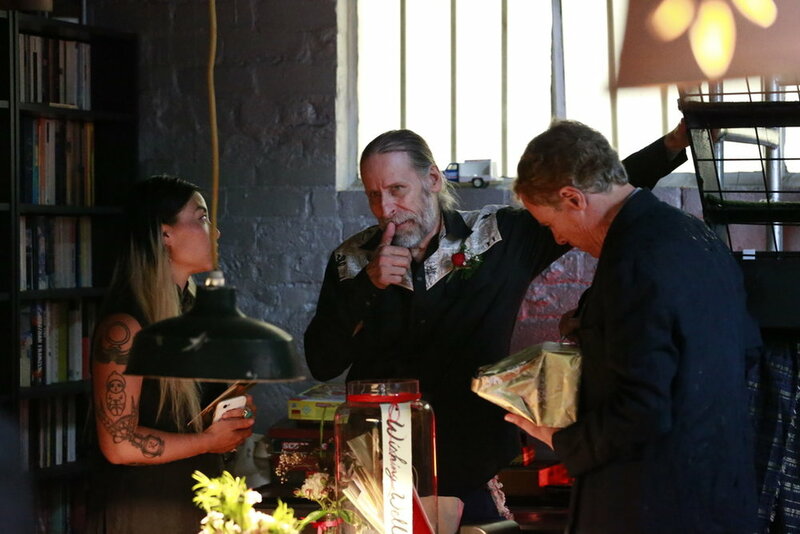 The couple sealed their 13 year relationship with a kiss as newlyweds. Whilst the signing of papers took place with both James and Jenna’s grandmothers, the crowd charged up their glasses with the help of the Tom Collins Caravan Bar. I then presented the couple as the new Mr and Mrs with the crowd raising their glasses for a toast to the newlywed sweethearts! "Jamima was perfect as our celebrant. The whole process was smooth and we felt extremely comfortable and guided at all times, especially during the ceremony. Jamima understood what kind of ceremony we wanted and wrote a beautiful script that was perfectly personalised. She went above the standard ceremony requirement and added her own personal touches that we now have as keepsakes which is very special. I would absolutely recommend Jamima as a celebrant."